Their current musical style mixes gothic rock and heavy metal along with violin, trumpet and more classical instruments, although their musical development throughout the years has also led to changes in instrumentation. 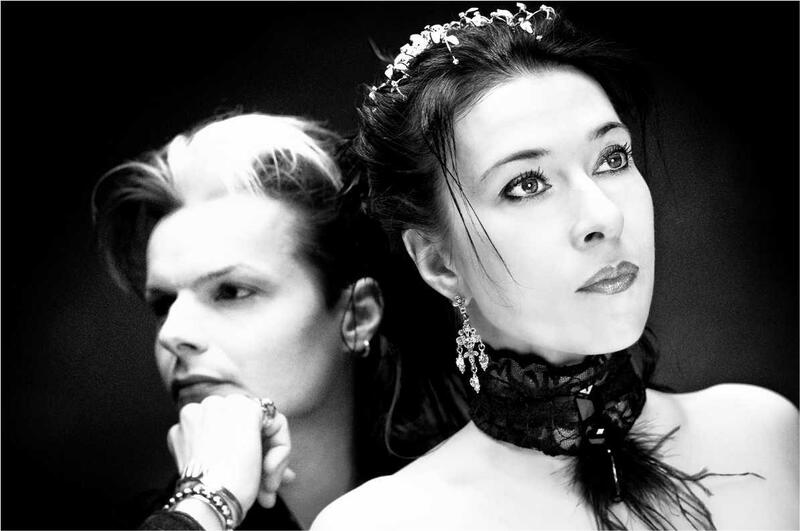 Lacrimosa’s lyrics are written almost exclusively in German, although since the 1995 album Inferno every album has featured one or two songs in English, generally written by Anne Nurmi. Finnish has also appeared in the spoken intro to two songs (“Schakal” on Inferno and “The Turning Point” on Elodia) and on a bonus track in a limited edition release of Fassade called Vankina. Their lyrics are mainly about loneliness, sadness, darkness, despair and love. The band has sold more than 20,000 copies of each album in Germany but has also gained a large fanbase in Mexico and China.